We will open tomorrow, Saturday March 23, 2109 in Seaford for men (St. Luke’s Parish Hall) and Bridgeville for women (Gateway Fellowship). 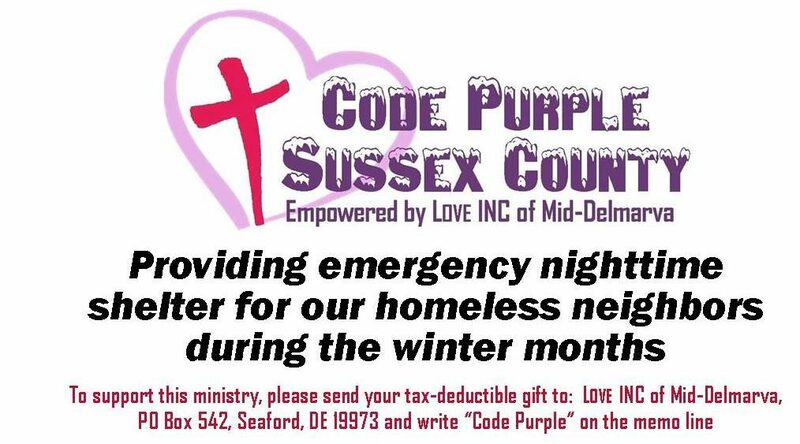 We will serve dinner at The CROSS (703 East King Street, Seaford) at 7pm. Must be checked into the shelters by 9pm.